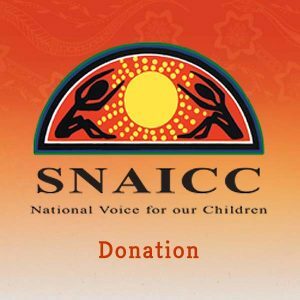 SNAICC has developed engaging resource packages designed to educate, promote greater understanding and to encourage best-practice when working with our children and families. The Working with Families kit includes nine valuable resources designed to support services and practitioners working with Aboriginal and Torres Strait Islander children and Families. 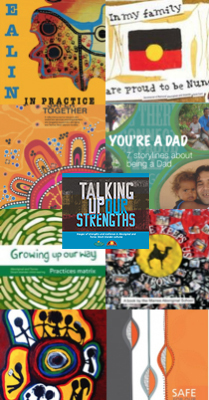 It includes ‘Talking Up Our Strengths’ cards which promote discussion and two packs of 10 books – ‘You’re a Dad’ and ‘In my family we are proud to be Nunga’ which can be shared with clients. The Talking Up Our Strengths card set (each card is A5 size) comes with a users’ guide. They are designed to promote discussion, build self-esteem and help connect community for Aboriginal children and young persons. The cards will also act as a cross-cultural educational and conversation building tool for Aboriginal and Torres Strait Islander child and family welfare services and groups seeking to talk through cross-cultural issues. These cards were produced in partnership between the SNAICC Resource Service and St. Luke’s Innovative Resources. A great resource to use with your dads groups. You’re a Dad is a simple yet powerful resource with 7 storylines about being a dad. This resource provides non-Indigenous organisations and workers with information, ideas and guiding principles to develop culturally appropriate services and professional practice that are respectful of Aboriginal and Torres Strait Islander culture and communities. This is a reflective practice resource and toolkit for services that provide intensive and targeted support for Aboriginal and Torres Strait Islander families while addressing key practice issues and using a place-based approach. 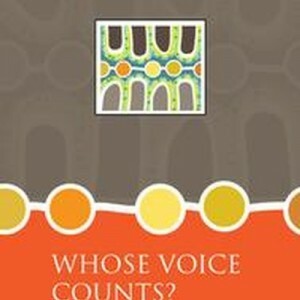 This book is for Aboriginal children by Aboriginal children. Produced by the students from the Marree Aboriginal School, South Australia. The students from the Marree Aboriginal School, South Australia, used Children’s Self Publishing methods to create a 22 page book featuring their simple, colourful artwork. The book is based on the lyrics of a song that they created and recorded and the CD of the song is included in the back of the book. This resource provides a snapshot of some of the values, beliefs and practices informing the “growing up” of Aboriginal and Torres Strait Islander children. Examining both traditional and contemporary child rearing practices, Growing Up Our Way provides a few examples – collected from the literature around Australia – of the ways in which children are being raised. A strengths-based perspective grounded the research in documenting how children are raised strong in self, proud in culture. The resource is intended to be practical and informative. It is not, however, a catalogue where programs can simply be plucked from its pages and expected to be relevant and effective in any situation or context. 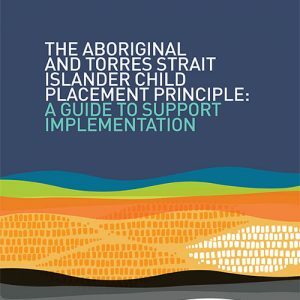 The resource illustrates that effective and sustainable programs for Aboriginal and Torres Strait Islander children and families always draw upon the local communities’ strengths and requires community leadership, community ownership and community knowledge. At the core of each of these programs is a focus on strengthening children’s connections to Aboriginal people and culture. Programs profiled in the resource have been detailed under four primary principles listed by the Aboriginal and Torres Strait Islander Healing Foundation as essential for successful healing. By highlighting how these core principles work within each program, SNAICC hopes to provide communities with inspiration, ideas and examples that they can adapt to their particular needs and circumstances. This work also builds up the practice-based evidence of what works and why, enabling our community-organisations to refine their practice and service. This children’s picture book highlights the pride and strengths that Aboriginal and Torres Strait Islander cultural identity provides Aboriginal and Torres Strait Islander children. This resource is a guide to family violence response and prevention for Aboriginal and Torres Strait Islander children and families.